Want the ultimate? 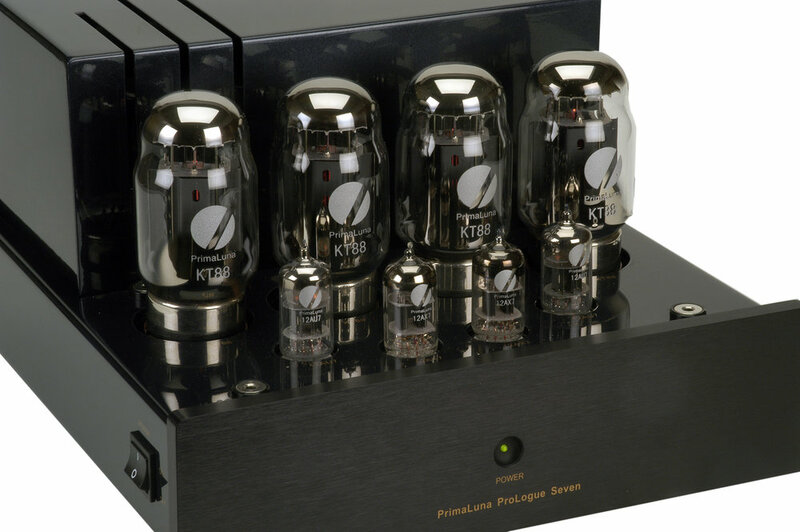 Classic Ultralinear all-tube sound, with all the body and glory that you could ask for. For an additional $550 over the EL-34 equipped Prologue Six, you will get an amplifier that has more power, better bass authority, and a little more air on top, but never edgy. 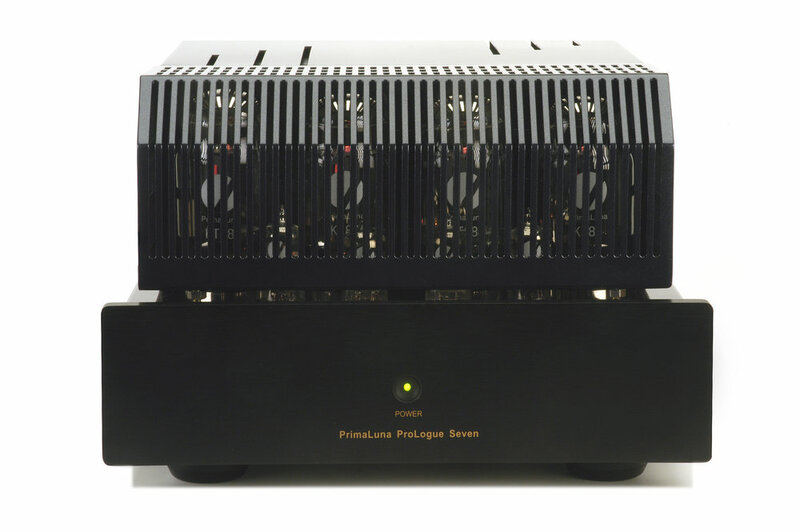 The ProLogue Seven starts with the same basic topology as the award-winning ProLogue Five stereo power amplifier. The monoblocks reach a new level of performance using a unique dual-feedback topology: Cross-coupled current feedback for superior impulse behavior and gain stability. Next a slight amount of negative feedback is used to achieve exact gain setting, low distortion, and low output impedance. This effectively cancels the negative by-products associated with both feedback circuits. The end result utilizes all the benefits of feed-back, without all the drawbacks. Adaptive AutoBias. Exclusive to PrimaLuna, this circuit monitors and adjusts bias automatically. Each power tube is monitored to stay in a peak operating range. Improved performance and better sound, with distortion reduced by 40% to 50% over conventional designs. No need for matched tubes. No bias adjustments. Ever. It also allows you to experiment with different power tubes. Plug in virtually any power tube. Adaptive AutoBias will automatically adjust itself! In addition to KT88s, you can use 6550, KT90, EL-34, KT77, 6CA7, 6L6GC, KT66, 7581, EL37, and any of their equivalents. Premium parts. Fully vented chassis, chassis-mounted ceramic tube sockets, Nichicon and Solen capacitors. WBT style speaker terminals. Gold plated input jacks.